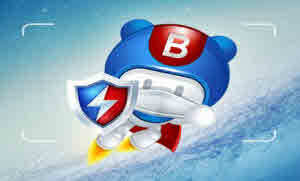 Baidu Antivirus is a free antivirus created by Baidu, the Chinese giant search engine (the Chinese Google), which uses three antivirus engines and noted for its great speed. For the performance level, Baidu Antivirus surprising since the presence of three engines will not slow your computer at all. Keep in mind that one of them is based in the cloud and Avira's engine is only used in the real-time protection, not manual scans. Baidu AntiVirus have managed to create an antivirus with security tools of quality, easy to use and does not stress too much PC resources. It is more, free, and even if it does not offer the same amount of features of the paid antivirus, does not lack anything. In addition it is considered that Baidu AntiVirus has provided a tool with which users can report bugs to the developers, or suggest their ideas for improving Baidu Antivirus. Really good idea.